15 Years Old Nigerian Girl Secures Admission Into Harvard. 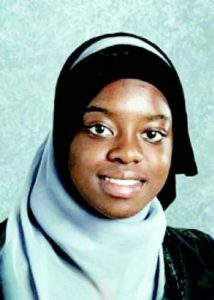 A Nigerian girl, Saheela Ibraheem, has achieved what so many adults would call a daunting task in getting admission into an Ivy league school. She was given admission by 13 other institutions, including Princeton and Columbia before settling for Harvard. As gathered, Young Saheela skipped two grades because she believes the key to success is figuring out what you love to learn as early as possible, something she did at age 5. “If you are passionate about what you do, and I am passionate about most of these things, especially with Math,” Saheela said. It is with this mindset that she actualised the goal of getting into the prestigious university at the age of 15. Presently her dream of becoming a Neuroscientist is underway.